The EL Department serves almost 5,000 students and over 1,000 staff members with a Director, a Coordinator, 2 District Coaches, 2 Parent Liaisons, a secretary, a clerk, and translators. 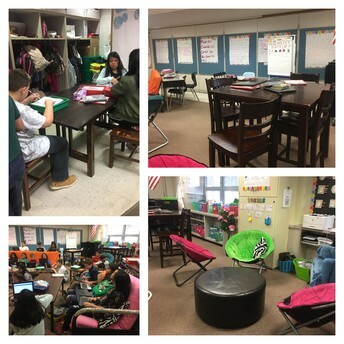 Fifth grade teacher, Hope Clay, uses flexible seating in her classroom. There are different types of seats, students choose their own seats and move frequently throughout class. This allows students to talk with neighbors, work collaboratively, and promotes the SIOP component, Interaction, with the basic classroom arrangement. These different grouping arrangements can support language and content objectives in the lesson while also promoting frequent opportunities for interaction and discussion throughout the lesson. Students can easily turn and talk, use numbered heads together, and work in small groups. Students that talk together learn together! Participation in discussions with peers provides the language practice time that English learners need. For students to connect with school and engage in learning at a level that will result in high achievement, we need to provide them with opportunities to interact with one another. One great way to promote student-to-student interaction is with some friendly competition! Quizlet Live is a great tool that 1)promotes individual student thought and 2) allows students to share "best answers" with their team. This sharing can be in the form of verbal and non-verbal cues because of the technology being used. A designated student will then decide which of the teammates answer is "best" before submitting to the game. 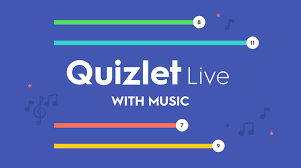 Quizlet Live can be used in a number of ways- anticipatory sets, vocabulary studies, or checks for understanding. It’s not too early to begin preparing for the WIDA ACCESS testing window, and below are some helpful reminders. For more resources and info, see the WIDA Indiana page which includes important dates and resources. Perry Township Test Administrators must have received training certification within one year of the date they are administering the assessment. If you are in need of trainings, they can be found in the WIDA Secure Portal. WIDA-AMS test set up will be available on December 3. School Test Coordinators will then be able to manually add students who were not submitted during the TL window. Please visit IDOE's English Learning 101 page and choose the module part VII: Assessment of English Learners for a video about assessment. Included are additional links to resources for WIDA ACCESS. Interactive Sample Items are here. Students can take the practice test through the DRC app or here. Review the practice test at least once with each student before testing. All resources to prepare students are located here on the WIDA website. 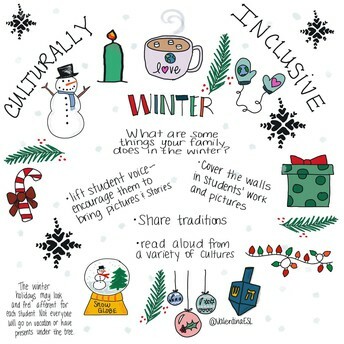 The Winter Holidays will soon be upon us and it is important to note that not all our students will be celebrating it in the same way. 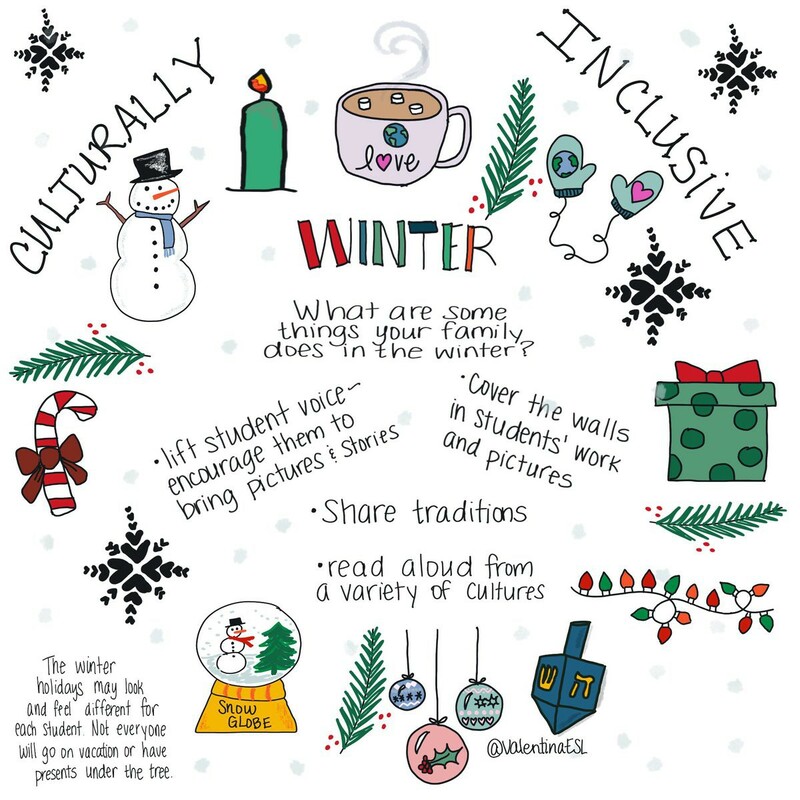 How can you make your celebrations and conversations culturally inclusive?